Frogs are valued as food by humans and also have many cultural roles in literature, symbolism and religion. 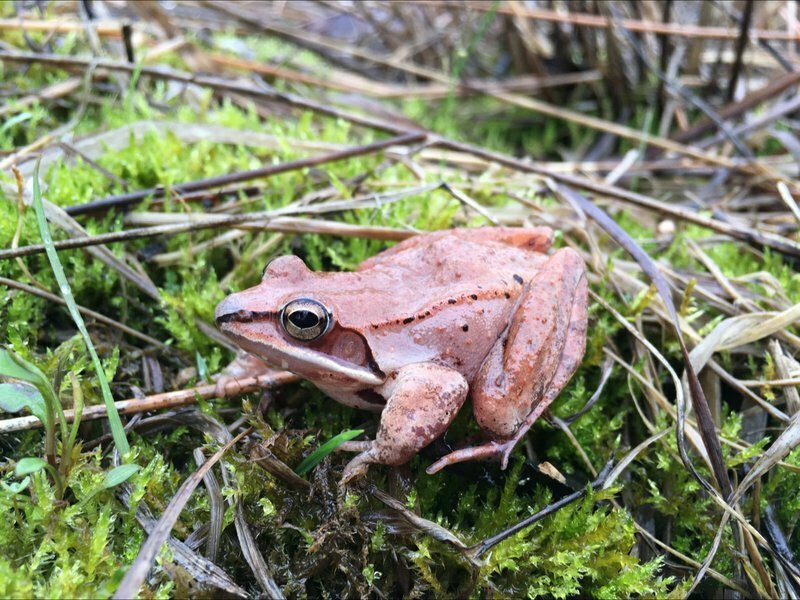 Frog populations have declined significantly since the 1950s. Today, we gonna share some interesting, informative and strangest things with you about frogs. The Malagasy rainbow frog lives in the rocky dry forests of Madagascar's Isalo Massif, where it breeds in shallow temporary pools found in canyons. This species is well adapted to climbing in its rocky surroundings, and can even scale vertical surfaces! When threatened, this frog will inflate itself as a defense mechanism against predators. The atelopus frog is known by many names such as the clown frog or the Costa Rican Variable Harlequin Toad. Whatever you call the frog, it is a neotropical toad that was once quite wide spread living throughout Costa Rica and Panama. The species is listed as critically endangered and is thought to be living primarily in Panama today. Photo: Paul Ouboter / Conservation International. Hyalinobatrachium pellucidum, also called as glass or crystal frog because you can see through its transparent flesh (right down to its guts). This guy's not new, but he's definitely endangered, so the finding is heartening for environmentalists. Generally speaking, higher altitude means larger animals. But the world's smallest known frog species lives high in the Andes Mountains of southern Peru, between 9,925 and 10,466 feet. The goliath frog otherwise known as goliath bullfrog or giant slippery frog (Conraua goliath) is the largest living frog on Earth. Specimens can grow up to 32 cm (12.6 in) in length from snout to vent, and weigh up to 3.25 kg (7.17 lb). This species has a relatively small habitat range in Cameroon and Equatorial Guinea. Its numbers are dwindling due to habitat destruction and its collection for food and the pet trade. As suggested by the name, the Red Mantella has an orange/red dorsal surface. These frogs are small, reaching a size of 2.5 centimetres (1 in) in length. It is is a small, terrestrial frog native to Madagascar. Poison dart frog, like this sapphire-blue species, is the common name of a group of frogs in the family Dendrobatidae which are native to Central and South America. Unlike most frogs, species are active during the day, and often exhibit brightly-colored bodies. Although all dendrobatidis are at least somewhat toxic in the wild, levels of toxicity vary considerably from one species to the next, and from one population to another. Many species are critically endangered. These amphibians are often called "dart frogs" due to indigenous Amerindians' use of their toxic secretions to poison the tips of blow darts. The ornate horned frog can grow up to six inches long and inhabits Uruguay, Brazil, and northern Argentina. While it may look like a lifeless pincushion, it's quick to lunge when lizards, small rodents, birds, or other frogs blunder by. 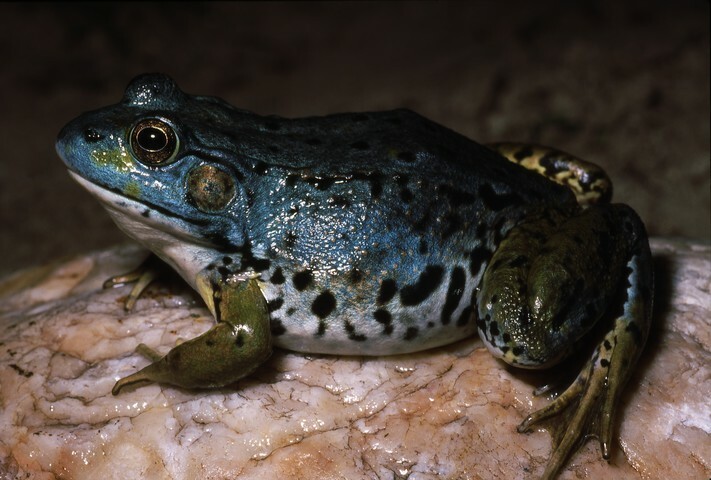 The Chile Darwin's frog was fairly regularly seen until around 1978, since when it seems to have disappeared, and the species may now be extinct. This species, which lives in the leaf litter on the forest floor, has an unusual method of parental care; the male takes the fertilised eggs from the nest into his vocal sac where they hatch into tadpoles after approximately eight days. When he starts to feel the newly hatched tadpoles wriggling, the male carries them to a stream where he expels the young. Here they complete metamorphosis. Theloderma corticale, or the Vietnamese mossy frog, is a species of frog in the Rhacophoridae family. It is found in Vietnam and possibly China. Its natural habitats are subtropical or tropical moist lowland forests, intermittent freshwater marches, and rocky areas. 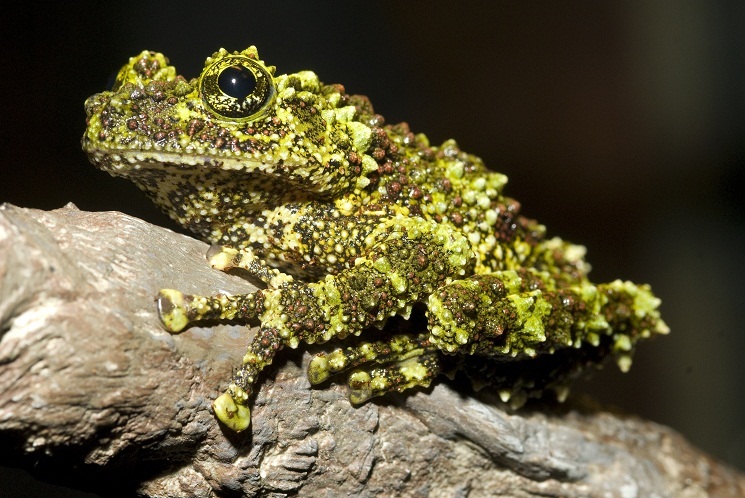 The common name of the mossy frog arises from the fact that its skin is a mottled green and black that resembles moss growing on rock, and forms an effective form of camouflage. 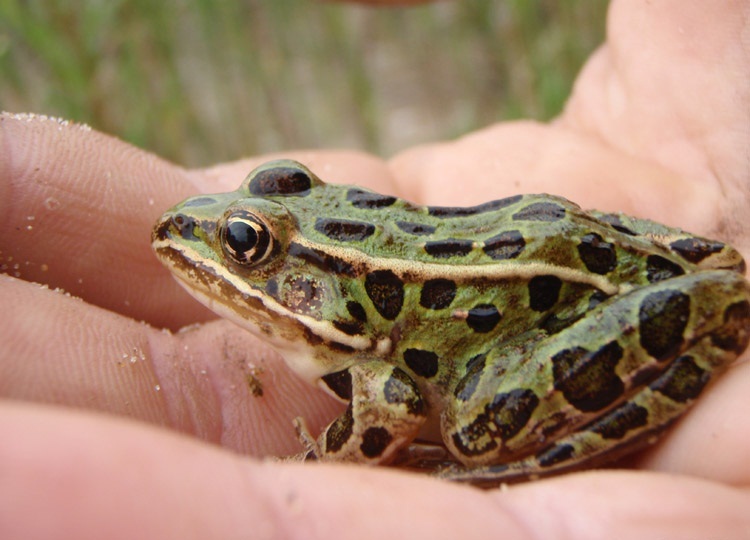 The northern leopard frog is a species of leopard frog from the true frog family, native to parts of Canada and the United States. It is the state amphibian of Minnesota and Vermont. 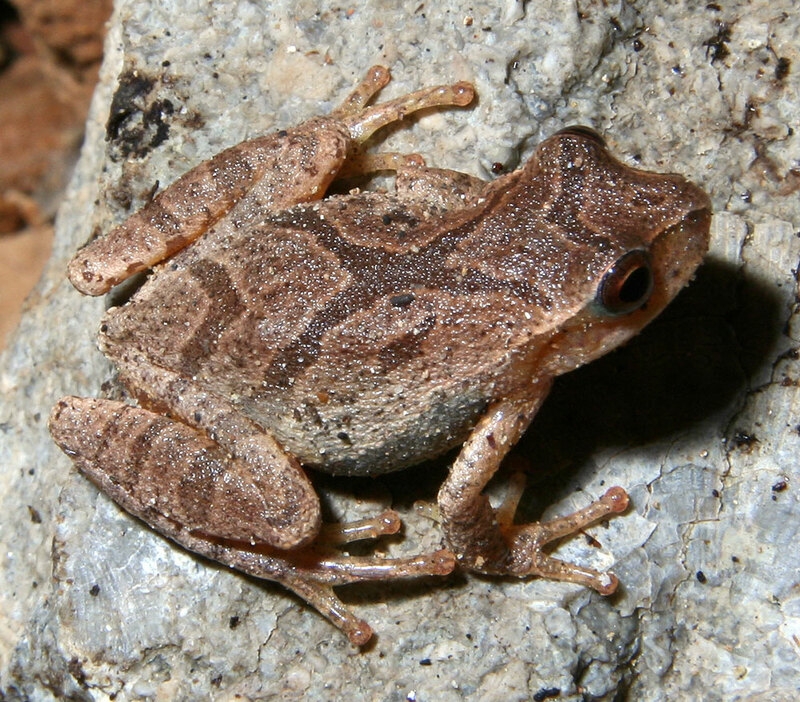 The spring peeper is a small chorus frog widespread throughout the eastern United States and Canada. They are so called because of their chirping call that marks the beginning of spring. There are two subspecies: The northern, P. c. crucifer, found all over the eastern United States and eastern Canada. 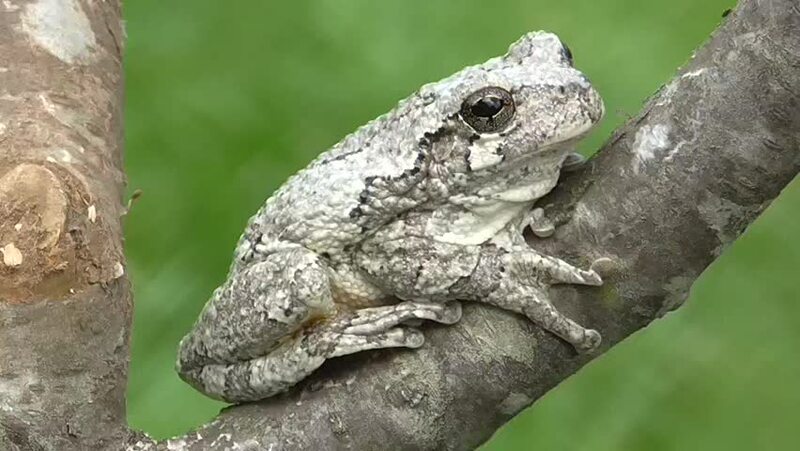 The gray treefrog is a species of small arboreal frog native to much of the eastern United States and southeastern Canada. In winter, gray treefrogs hibernate on land under woody debris such as logs, roots and leaf litter. The northern cricket frog is a species of small hylid frog native to the United States and northeastern Mexico. Despite being members of the tree frog family, they are not arboreal. It has three recognized subspecies. Northern cricket frogs are small frogs, between 0.75 and 1.5 inches (19–38 mm) long. 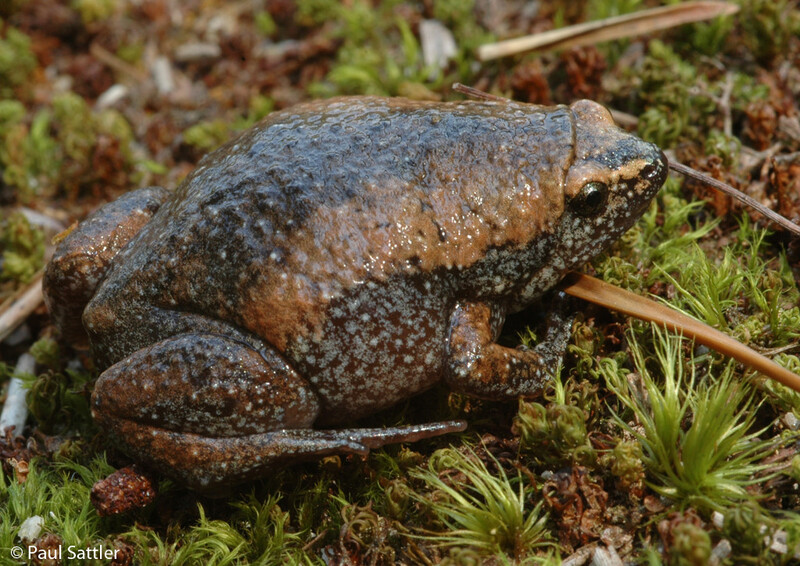 Gastrophryne carolinensis, the eastern narrow-mouthed toad, is a species of microhylid frog. It is a relatively small, toad-like amphibian found in damp, shady habitats. The species is highly fossorial, and feeds primarily on ants. 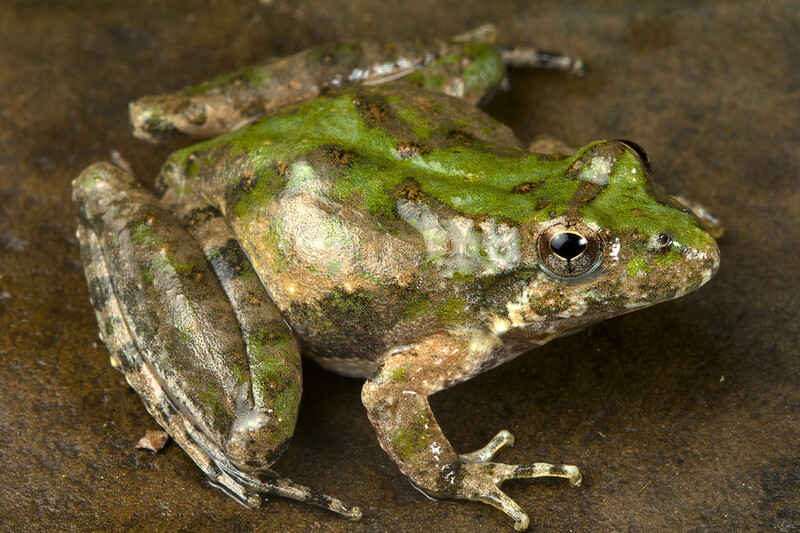 The barking tree frog is known for its loud, strident, barking call. It may also utter a repetitive single-syllable mating call. It has been known to chorus with other frogs of the same and similar species. 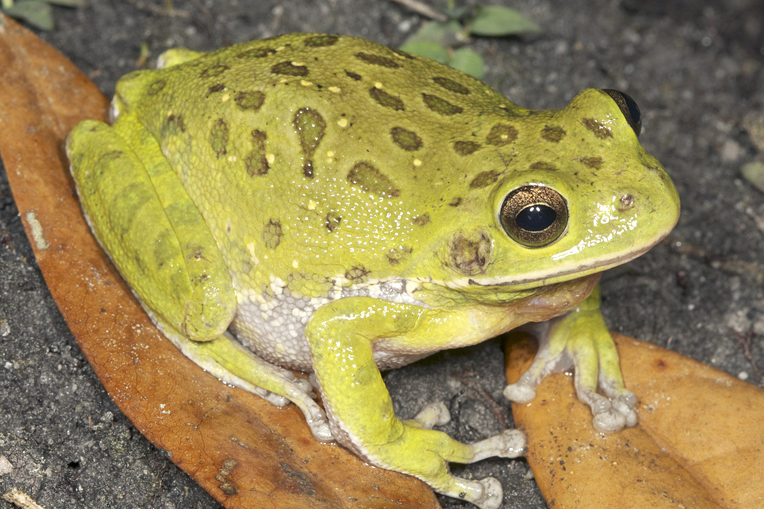 The green frog is a species of frog native to the eastern half of the United States and Canada. The two subspecies are the bronze frog and the northern green frog. 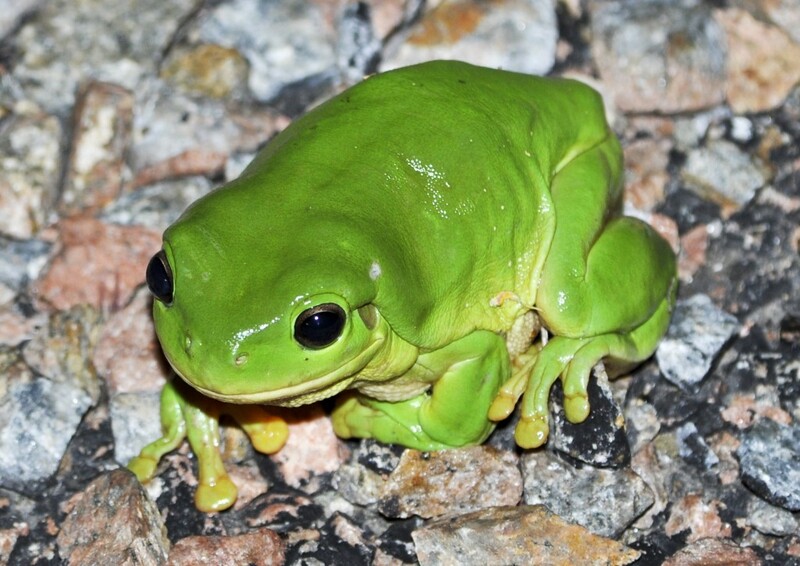 Green frogs call throughout the day and night, producing as many as six different calls. The banded bull frog (Kaloula pulchra) is also known as the chubby frog (in the pet trade), Asian painted frog, rice frog, or bubble frog. These frogs belonging to the narrow-mouthed frog family have round bodies with mahogany brown backs and cream stomachs. The distinctive stripes down the side can range from copper-brown to salmon pink in color. Males have darker throats than females. Frogs grow to 7–8 cm with females generally being larger than males. If you've ever been unable to find a bathroom in a moment of need, you know the gotta-go feeling. That's nothing compared to the wood frog, which doesn't urinate all winter.